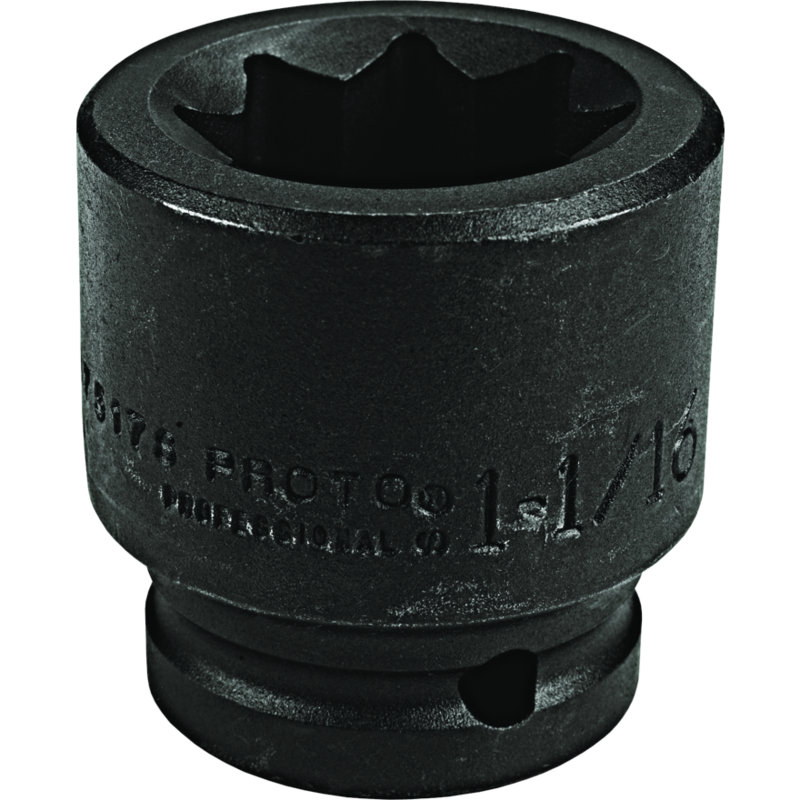 Proto® 8 Point Impact Sockets are ideal for use on stubborn or damaged fasteners, and also on fasteners made from soft materials. Drive end chamfer and four detents help provide quick positive engagement with drive tool on any of the socket drive walls. Tight tolerances for snug fit on fastener. Large clearance holes, concentric opening and nut end chamfer make it easy to position socket on fasteners. Made from high-strength steel to help minimize wall thickness and provide access to fasteners in recesses and where nuts and bolts protrude. 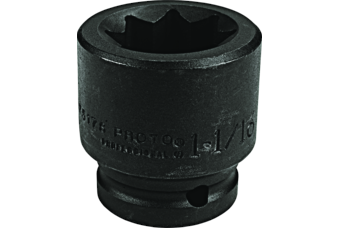 Impact sockets are designed to withstand higher torque and force associated with impact tools in repetitive application. Features two through holes and a groove to accept a Proto® Retaining Ring or pin and o-ring to help secure the socket to the drive tool anvil. Stamped size for easy reference.